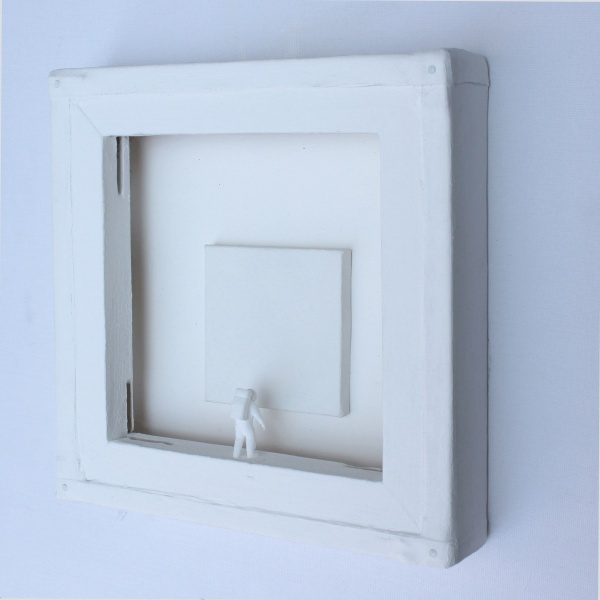 "Painting Is Infinite 55 (White Space Gallery) involves both the artist's Painting is Infinite* series and a reference to his Spacewalk** Series in the form of a an actualised 3D astronaut which has been specially 3D printed by the artist. * PAINTING IS INFINITE SERIES: Takes its title from a David Lynch quote, when he stated that the restrictions of the film-making process do not apply to the field of painting and that indeed 'painting is infinite'. 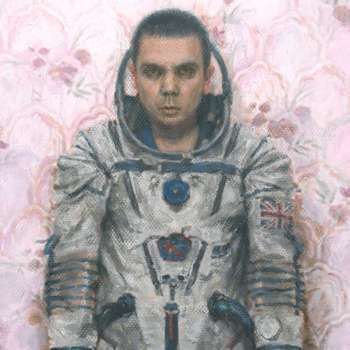 This series plays with the quote on a literal level; celebrating the mental faculty that enables man to be transported by Art, and how we choose to perceive ourselves within the universe as equal if not quite a part of it. 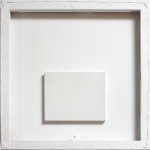 Each work presents a platform for the contemplation of the universe by using a standard box canvas that has been redefined in order to function as a device through which to wonder at the mysteries and scale of the universe. 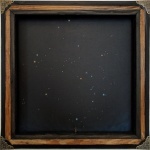 These works are essentially an ode to the infinite faculties of human imagination and creativity. 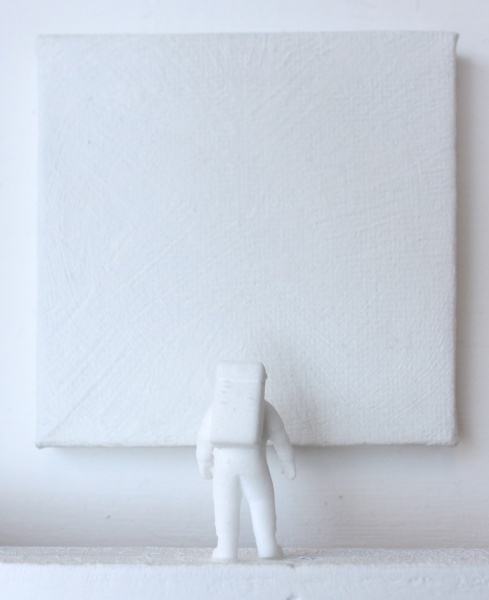 ** SPACEWALK SERIES: Before the blackness of the void, a lone astronaut floats above the earth below; this minimal series consists of of variations in composition of these three elements; mankind/earth/the void. In ancient times Socrates wrote that "Man must rise above the Earth—to the top of the atmosphere and beyond—for only thus will he fully understand the world in which he lives".